While some people might believe that one week, or even ten days, or even 14 days in Switzerland is way too much time, I think it is the minimum amount of time to spend in this tiny, yet amazingly beautiful, country. There is so much to do and see that I leave heartbroken every single time, even though I road- and train-trip Switzerland for a whole six weeks each year. So, if you plan to visit Switzerland and really want to see a lot, I suggest planning in between 10-14 days in Switzerland. 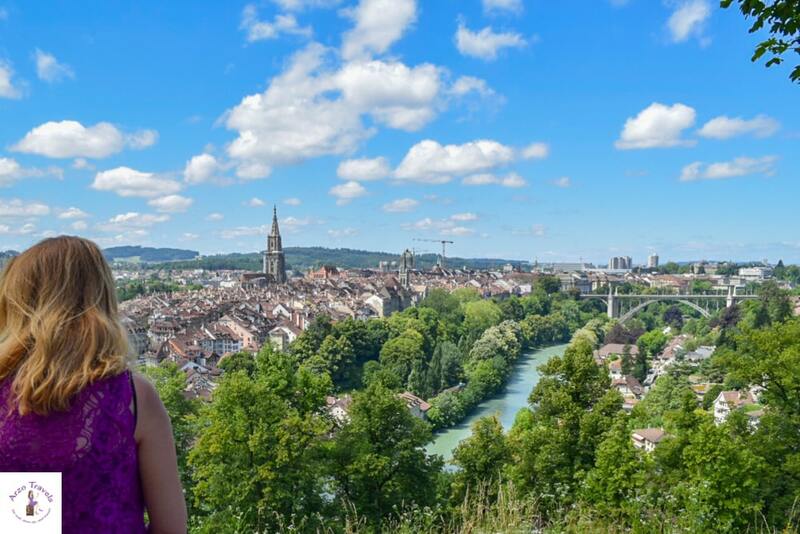 There are just so many places to visit… But if you only have one week in Switzerland, these are my top recommendations for how to spend 10 days in Switzerland (or even how to spend two weeks in Switzerland). 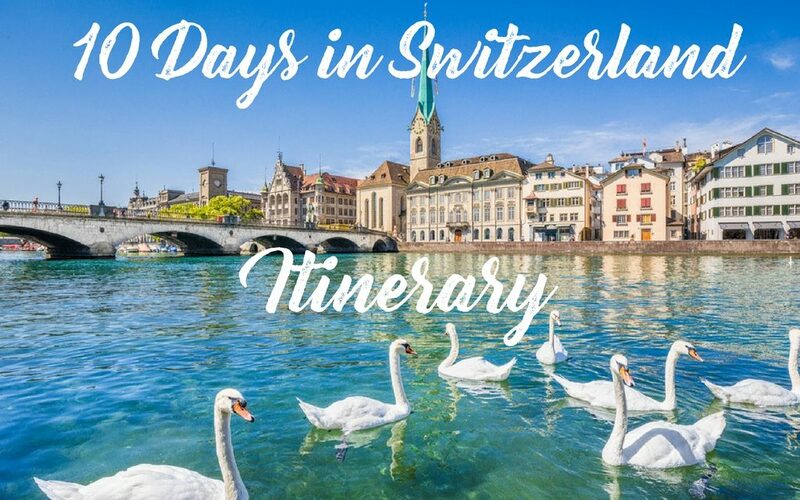 Find a “Switzerland 10-day itinerary” and more tips for 14 days in Switzerland, tips and tricks for how to get around, where to stay, and more important information that you will need to have a wonderful time. It feels like 10-14 days in Switzerland will be over in a heartbeat, so it is important to make the best of your trip and see as much as possible. There are three amazing ways to get around in Switzerland: Walking and hiking, road tripping and train travel. While just walking is impossible, you need to either travel by car or use public transportation. Either rent a car after flying in, or, as I do it, drive your own car. For the last three years (and now, for the fourth time) I drove around with my own car and, since I stayed in Switzerland for many weeks, I also had a Swiss Travel Pass for some time. So, I changed between driving myself and train travel. I think, both ways of traveling are amazing and could not name one way I prefer over the other It also depends on the circumstances. If you plan to get on some of the mountains (as I suggest in this itinerary) a Swiss Travel Pass makes the most sense. It is not cheap but when you do a lot of activities, like boat cruises, visiting museums or getting on mountain summits (and of course using public transportation) a Swiss Travel Pass is the best option because you have free access to many museums, can use the boats for free on almost all lakes (expect Walensee which is not mentioned in this itinerary), and get up to 50% discount of many mountain trips (some are even free with this pass). Public transportation is safe, on time, reliable and the window views are one of y kind! So, there is no 10 days Swiss Travel Pass, but this 8 days Pass might be the cheapest option (and for the first two days, or the first and last day you could get single tickets). Driving in Switzerland is fn and safe. While I totally enjoy driving there (even though it is quite challenging driving in the mountains), I hate not being able to admire the scenery as much as I wold love. 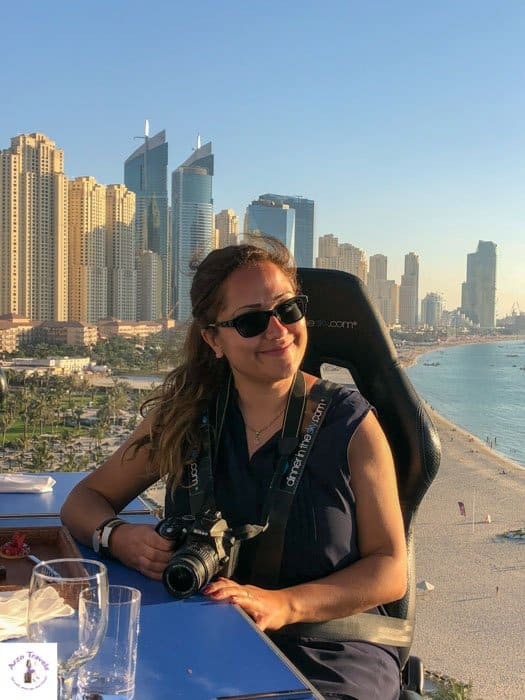 Just stick to the speed limit (they take it very seriously there) and have change for parking (which can be extremely pricey and finding good spots in the city centers is a challenge) and you will have the most beautiful road trip in Europe. You will find a 10-day itinerary and at the bottom you will find a few more tips how to see Switzerland in 14 days. 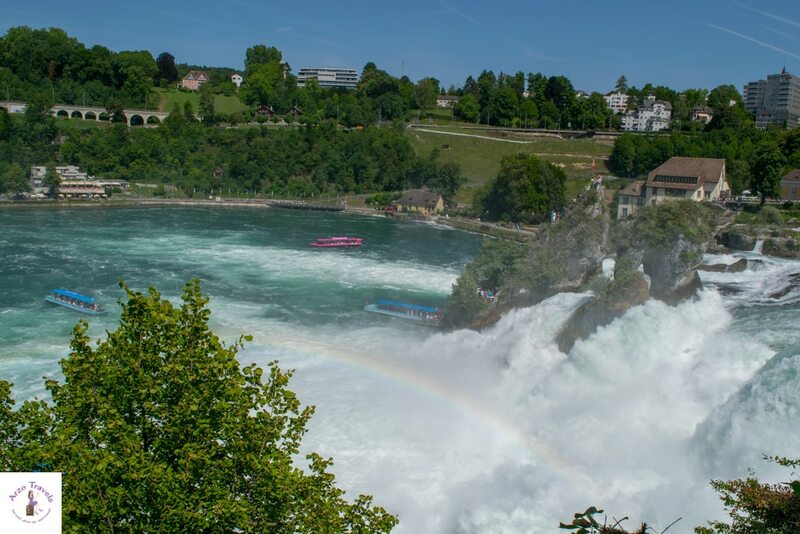 Head to the Rhine Falls first. The biggest waterfall in Europe is about an hour’s drive (or train ride) from Zurich. It is located near the German border, and it is a great experience to get so close to this powerful waterfall. Whether you get to the platform or do a boat ride, the waterfall is one of the best places to see if you have a week in Switzerland. After visiting (which probably takes 4-6 hours total), head back to Zurich and explore the old town and Bahnhofstrasse (the most expensive street in the world). Though it does not look spectacular, this street beats 5th Avenue when it comes to rent prices. And since its convenient location is close to Lake Zurich and the Old Town, you should not skip it when visiting Switzerland. Personally, I think that there is no better way to end a day in Zurich than at Lake Zurich. Especially on a summer day, when the street musicians are playing lovely music, and people just gather around the lake – Zurich gives you the best summer feeling! The atmosphere is way more relaxed than in other parts of Switzerland, it feels people are open-minded here, and you´ll see locals and tourists alike enjoying the natural beauty that surrounds Zurich. 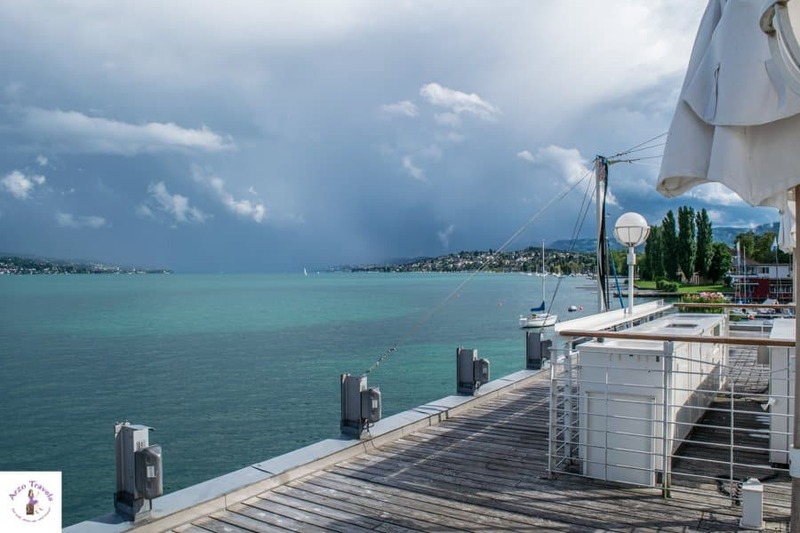 As a boat tour lover, I, of course, recommend a boat tour on Lake Zurich. There are many fine dining restaurants around the lake, but also supermarkets if you prefer getting food/snacks for a picnic at the lake. 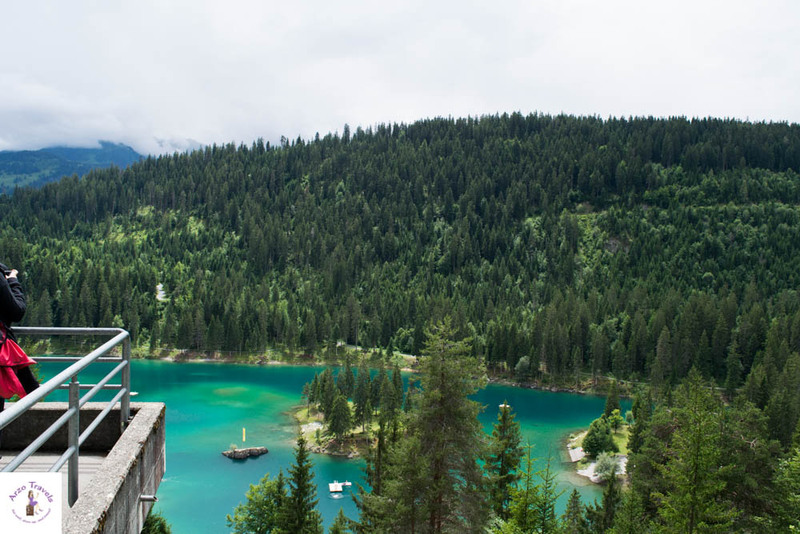 From Zurich, you can discover one of the hidden gems of Switzerland – Flims! 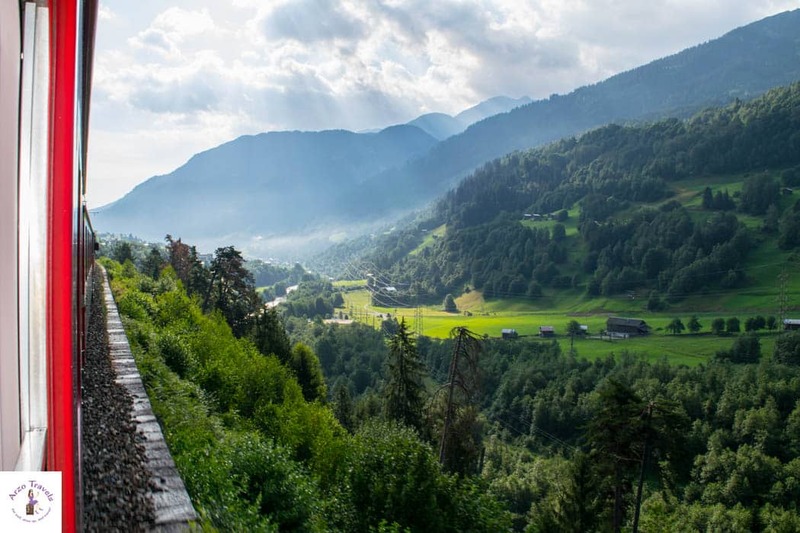 The area, about a two-hour train or car ride from Zurich, is a gorgeous and natural piece of the region of Graubünden. You will see one of the most beautiful lakes in Switzerland – Lake Cauma. But if you take a hike up there (Lake Cauma is a mountain lake, in about 1000 meters elevation) and then hike down, you will get to see more natural wonders. One of them is Lake Cresta and the Rhine Gorge. All of these beautiful places will cross your path if you hike for just an hour (or a bit longer). There is a restaurant at Lake Cresta where you can have lunch, or you can take your own food and enjoy a picnic with a view (do not forget to bring your water bottle, as there are water fountains with fresh water). You could also hike up again, or just take the Yellow Postauto to get you to your hotel or back up to your car. This place is not well-known among tourists, so you will mostly share it with locals. It is a beautiful trip to take and Switzerland shows its most beautiful face here. From there, head to the Italian-speaking part of Switzerland (it takes about 2 hours by car and train). 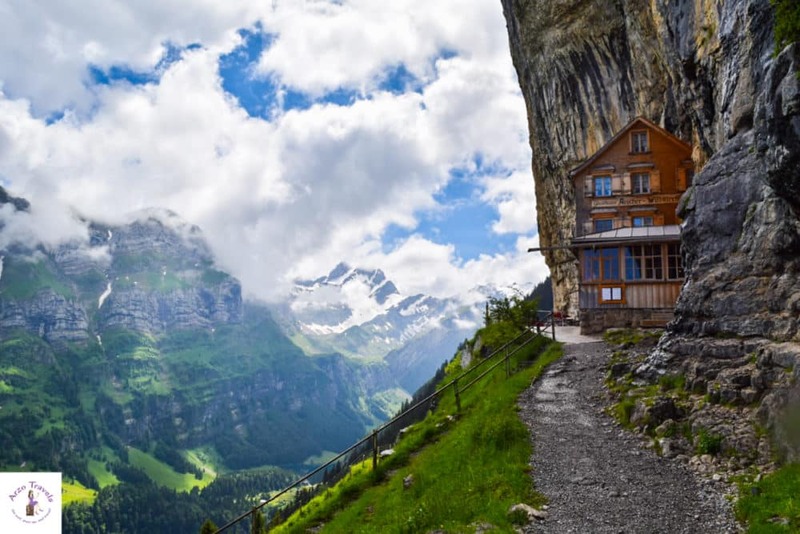 If you are interested in seeing the world-famous, cliff mountain guest house, “The Ascher,” in the canton of Appenzellerland, then skip Flims and head to “Wasserauen” Station to explore Appenzell and Ebenalp Mountain. It is easily reachable by car or train from Zurich. To see this impressive building, you can either hike up or just take the cable car (return tickets are about 30€, with a 50% discount with the Swiss Travel Pass) to get up to the mountain summit. From there, you need to actually hike down for about 10-15 minutes to see this place, where you can eat and drink (at reasonable prices by Swiss standards). If you want to get down, you can either keep hiking down, or hike back up for another 10-15 minutes and take the cable car all the way down. If you hike down, choose the path that will lead you to the Seaalpsee, a beautiful lake where you can picnic or just walk around. The hike should take about 1-2 hours, depending on your speed. Even though it is not very long, you should be aware that it is extremely steep and, thus, not the easiest. From Wasserausen, you can head back to the hotel, or explore the cute and colorful town of Appenzell. If you stay two weeks in the country, I suggest doing both of it – Flims and Appenzell. 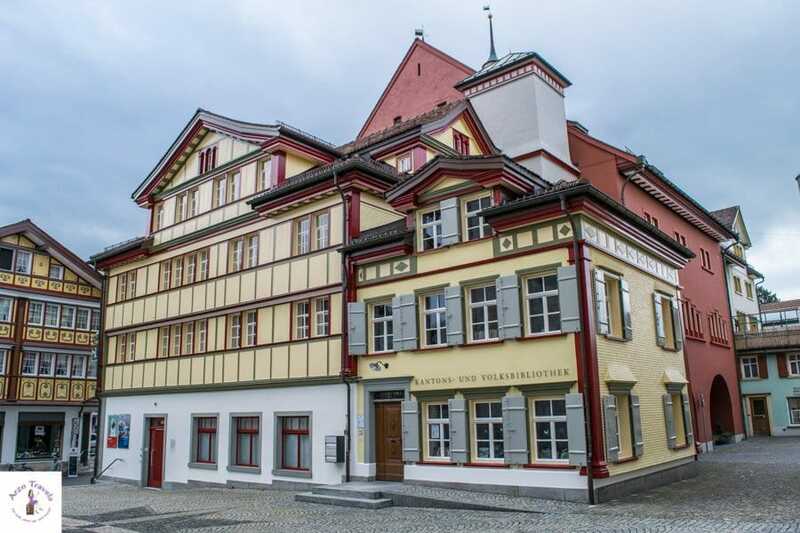 Appenzell is quite small, so you do not need much time for it, but you can end your day and stay in one of the hotels in the town center before heading back to the Italian-speaking part the next day. After staying in Bellinzona, it is time to explore some of the Italian-speaking parts of Switzerland – more precise Ticino. Truth to be told: This place is just gorgeous. If you want to enjoy some cultural sightseeing, you can visit one of the castles in Bellinzona; they have great views. 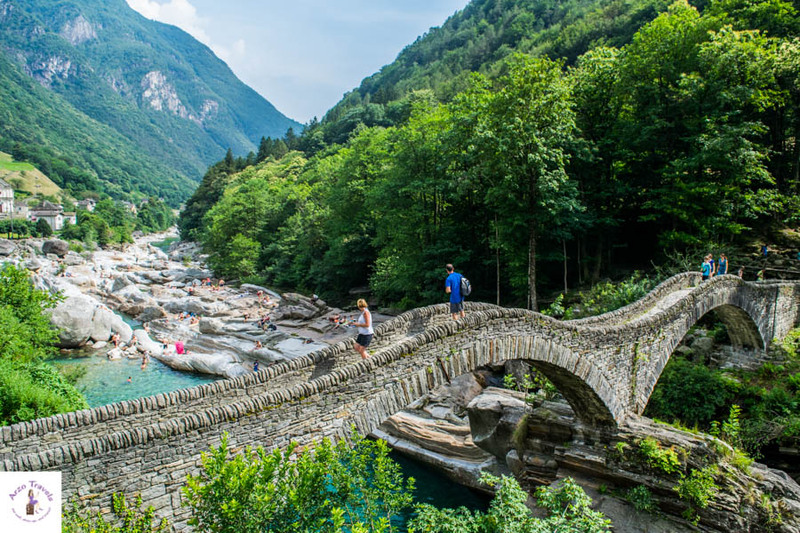 If you are on the hunt for more natural wonders, it is time to visit this very unique place….Valle Verzasca. I am not sure it can still be considered a hidden gem, but nonetheless, this place is an absolute dream. The water is so green, clear, and inviting that it makes you want to jump in. Or not, as the water is cold. But whether you hop in or not (I never did), I cannot deny that I was in awe – Mother Nature knows how to create true beauty! The Lavertezzo Bridge makes this place even more unique. Getting there from Flims is rather time consuming, but believe me, it is worth it. It is completely different than any other place in Switzerland. While I recommend visiting both places, it takes some time to get from Valle Verzasca to Montreux, as well as getting from Valle Verzasca to Zermatt. While the distance is not that far, driving in this area is tricky (with loads of mountain tunnels and traffic), but ideally, you would visit both places. But realistically, you may only be able to visit one place – especially if you have less than 10 days in Switzerland. Zermatt is one of the most beautiful towns in Switzerland. 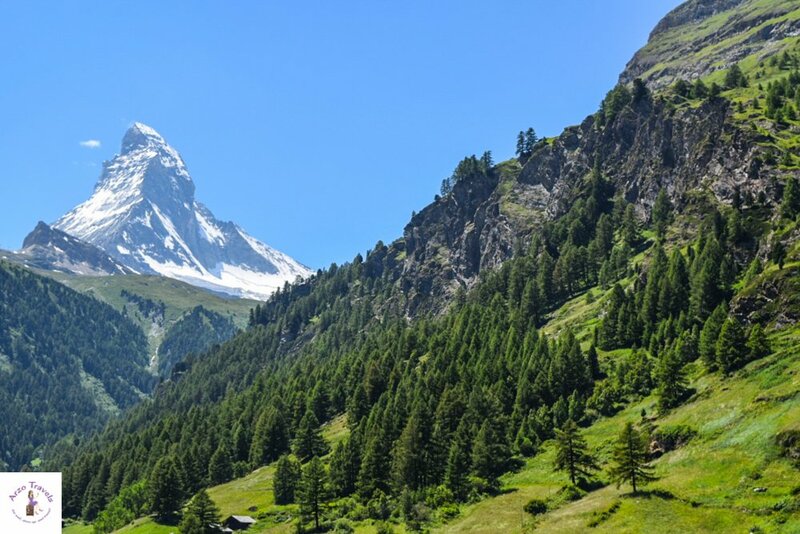 With its world-famous house mountain, the uniquely-shaped Matterhorn, it is a great place to visit throughout the year. Since it is car free, you have to leave your car in Taesch and take the train up. In Zermatt itself, you´ll find some electric cars (as well as taxis and buses), but it is so tiny that you can easily make your way around on foot. If you decide to visit Zermatt, make sure to get on Matterhorn Glacier for the amazing views. 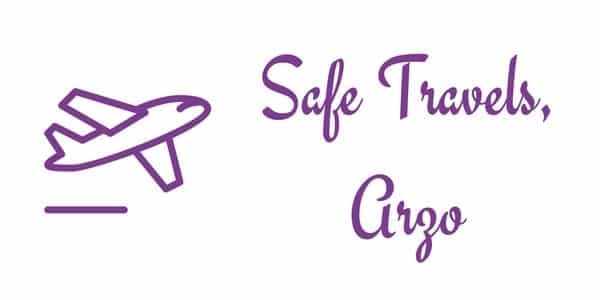 Just be aware that you might suffer from altitude sickness, as getting up to more than 3000 meters can be a shock to the system. End your day with a stroll along the beautiful Vispa River and a stop in one of the numerous cafes or restaurants. By the way, Zermatt is also a popular place to shop for luxury watches, so this might be the time to get a fancy Switzerland souvenir. Lake Geneva is an amazingly beautiful and giant lake in the French-speaking part of Switzerland. While Geneva is probably the first city that comes to your mind when visiting this area, I actually recommend skipping Geneva (f you are short on time, while Geneva is lovely it is time-consuming to get there) and heading to Montreux instead! Geneva is great, do not get me wrong. It is interesting with all of its political institutions, the lake, and so on; but it is located in the southwestern part of Switzerland. Getting there takes time, so unless you really want to visit Geneva in particular, I recommend visiting Montreux. Montreux is beautiful! It seriously is! 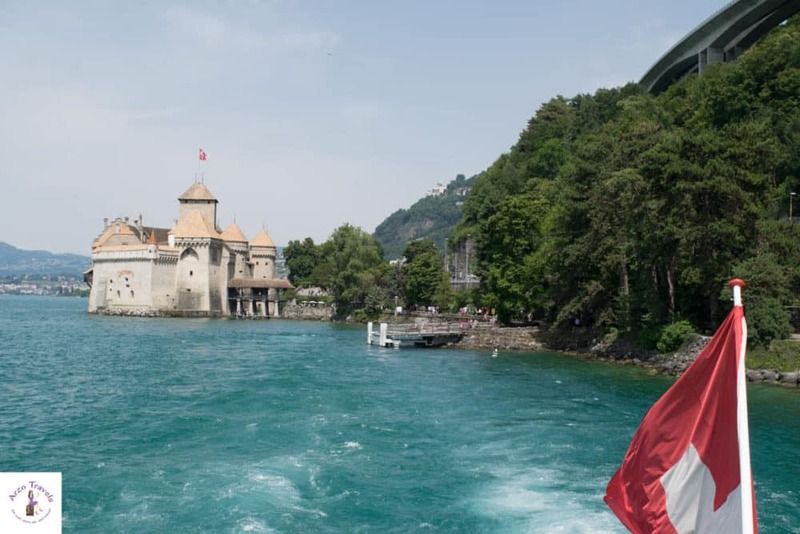 It is small, so walking around does not take much time, but with the most beautiful promenade in Switzerland, Lake Geneva, and Chateau de Chillon, it does not have to shy away from any comparison (okay, this might sound like an exaggeration, but I am sure you will fall in love with Montreux, too). 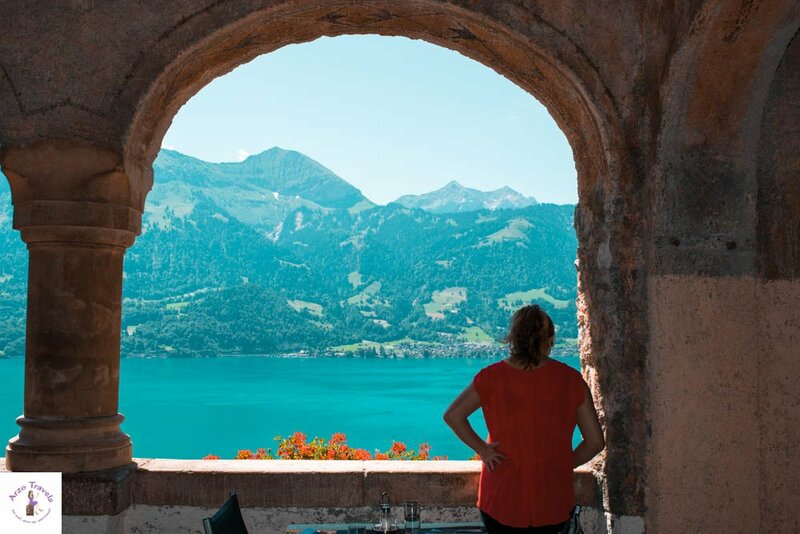 Take some time to relax, hop into Lake Geneva, and refuel before heading to one of my favorite – no, not one of my favorites, but actually to my most favorite region ever. If you are happy enoough to stay in Switzerland for two weeks, I surely suggest visiting both towns. They are both rellay beautiful and with 14 days in the country you should not be stressed out too much with traveling around. 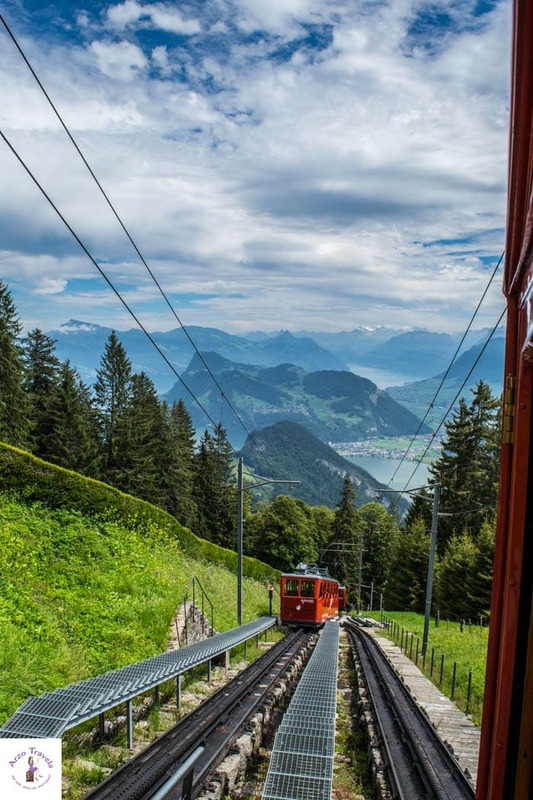 TIP: If you travel by train, always ask for the most scenic routes- train riding in Switzerland is an experience by itself. When I talk about Interlaken, I do not necessarily mean the town of Interlaken, but the whole region, plus the region of Jungfraujoch. This place is like heaven on Earth and you would be missing out if you did not visit here! There is so much to do, so make sure to book two nights in this region. Plan one full day for a mountain excursion. 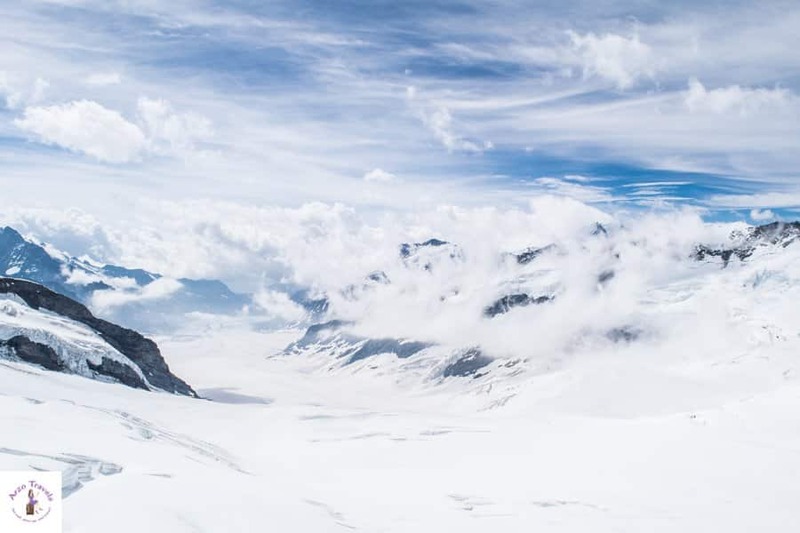 A trip to Jungfraujoch is probably the most famous and popular one. This trip is not cheap, but you’ll probably only do it once. The Jungfraujoch station is the highest train station in Europe. It is like a little village by itself and you can explore the Ice Palace or xxxx. And you will get to see snow – and play with it, too – regardless of when you visit! There is snow every day of the year. You will probably get back in the afternoon and can end your day in one of the cute villages/towns in the area, like Thun or Interlaken. Okay, there is so much to do – and so many places to visit. If you have a Swiss Travel Pass you get a discount on this, quite expensive, day trip. Click here to find out more about it. Now, it is time to visit more great places in the region. If you want to start the day in a relaxed frame of mind, go to Lake Brienz and start with a boat tour. 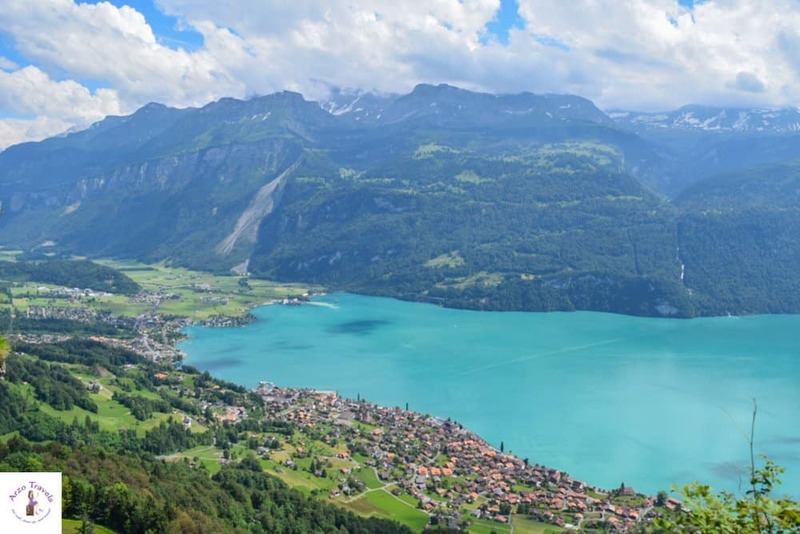 Lake Brienz is actually of my favorites, as the water has the most beautiful color and shimmers a lovely turquoise. If you want to have more amazing mountain views, you can do another mountain trip. My all-time favorite mountain excursion was my trip to Brienzer Rothorn. Arrive at Brienz station by boat (and have the first glimpses of beautiful Lake Brienz) and take the old steam locomotive to get up Brienzer Rothorn. It is an amazing experience and you will surely not regret the day trip. Afterwards, take the boat again (check the timetable to make sure you do not miss the last boat) to Giessbach Waterfalls. Get out there and take a short hike up (or take the hotel funicular to get to the Grand Giessbach Hotel). You have some amazing views from there of Lake Brienz and the waterfall. In winter, the restaurant (and hotel) is closed, but most of the time, you can enjoy a coffee at the outdoor cafe. This hotel has also become one of my favorite hotels in the world, with amazing views and interesting decor. The prices are quite high to stay overnight, so if you are on a budget, make sure to enjoy at least a drink (or a fantastic dinner) at the hotel. Another tip: If you skip any of these activities for any reason (no hard feelings on my side), I have two other top tips for the region. If you are not much of a hiker, or want to explore one of the most popular places in the region, head to beautiful Lauterbrunnen. Lauterbrunnen is notorious for adrenaline rushes and adventurous activities – skydiving, bungee jumping, base jumpers, etc. But it is also known for the 72 waterfalls (the most famous of which are the Staubbach Waterfalls and Trümmelfach Falls), for being an extremely beautiful little village, and for being home of the Schilthorn mountain, where portions of the James Bond movie, On Her Majesty’s Secret Service, was set. 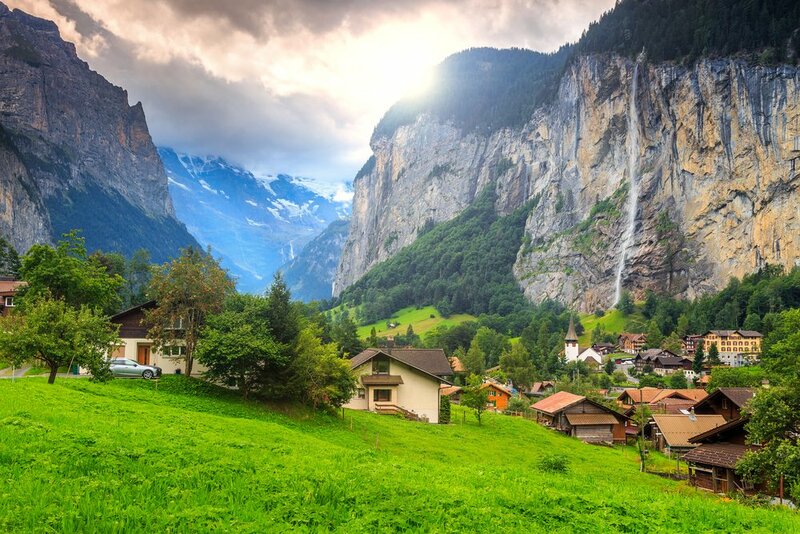 The trip to Lauterbrunnen, including a hike and some other activities, will take up to a day, so you will probably not have much time to do anything else. Another very dreamy place to visit in Interlaken is the St. Beatus Caves. Get there by bus and then take a 10-minute hike up to enjoy one of the best views in Interlaken. It is not the height that impresses, but the setting – the beautiful caves, the restaurant with a view of Lake Thun, etc. After that, hike down the other side to take in another beautiful view – and find out why road tripping in Switzerland is such an amazing way to discover the country. These roads are just made for exploring! My tip is to explore a few of the amazing lakes that are located in the region. 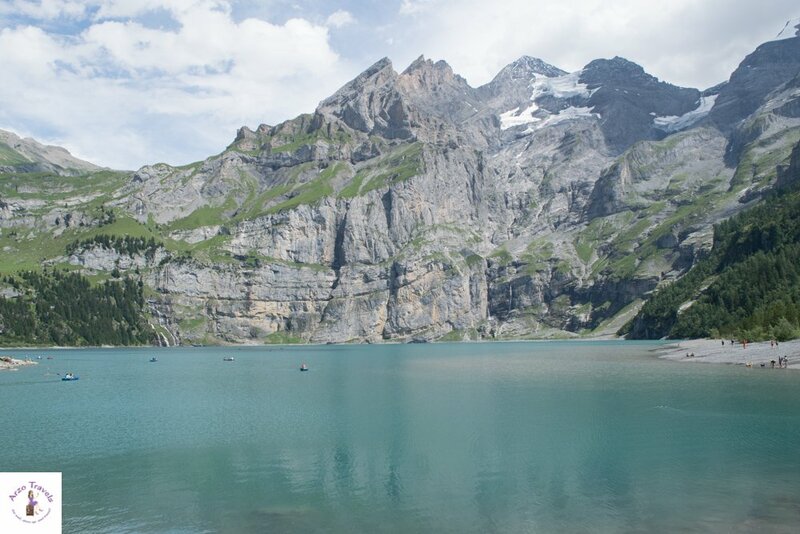 In Kandersteg, you´ll find two of the most beautiful lakes in all of Europe. 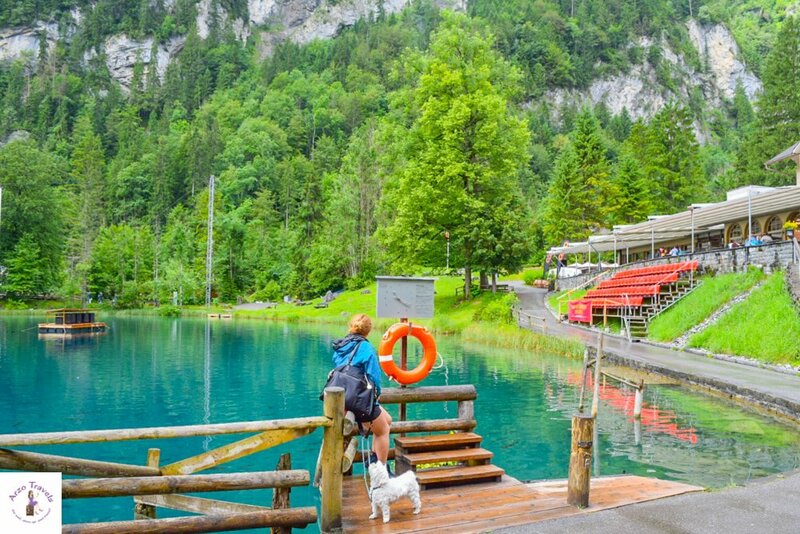 Blausee, which is a tiny lake of astonishing color, is located in a nature park where you can stroll along the lake (but not swim in it) and take it easy. If you want to get active, you can paddle a boat – or just dine in the restaurant that comes with a lake view. Afterwards, or before, head to Lake Oeschinen, another gorgeous lake that is mind-blowing. To get there, you need to get to Kandersteg Station (parking is available if you come by car) and then either hike up or take a gondola up. From there, it takes another 20 minutes of walking to get your first glimpse of the lake (it is a mountain lake, so you will have great views from it, too). There is also a little shuttle bus that gets you directly to the lake (for an extra fee). The view is worth it, and you can walk down, swim in the lake, or have a picnic there (or have lunch in the restaurant next to the lake). This is a great opportunity to recharge your batteries. After the hassle of the last few days, you surely deserve it. If you cannot sit still, you can still hike around the lake. I have never done so, but I guess it is very rewarding. End the day in Thun, Interlaken or in a restaurant in Lauterbrunnen. If I asked, “What is the capital of Switzerland,” would you know off the top of your head? Actually, most guess that it is Zurich, but the truth is that Bern is its lovely capital. While smaller and less well-known, this city is a beauty! So, do not skip it if you are in Switzerland, and pencil in at least one day for Bern. If you ask me about my favorite city in Switzerland, you will not hear it is Lucerne. I know that many people who visit Switzerland for a few days will say that Lucerne is the most beautiful city there, but I somewhat disagree (Zurich will always be my true city love). However, I still think you should spend two days in Lucerne, and this is for several reasons. First, after a busy few days, you need some time to recharge and rest. Lucerne is one of the best places to chill. Second, Lucerne has some breathtaking places close by that you should also check out! Third, Lucerne is, above all, extremely beautiful. If you arrive in Lucerne from Bern in the morning, you should take your time and not stress about heading out. 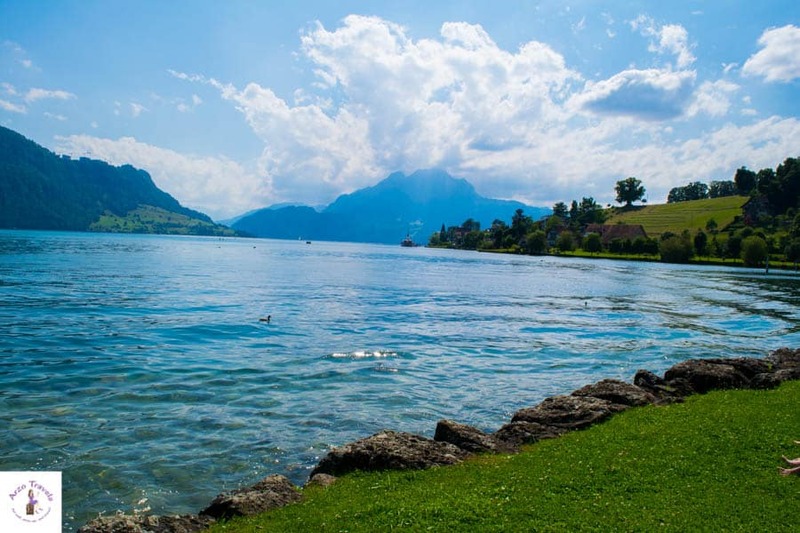 If you have a sunny day, make sure to head to Weggis, which is located on Lake Lucerne. 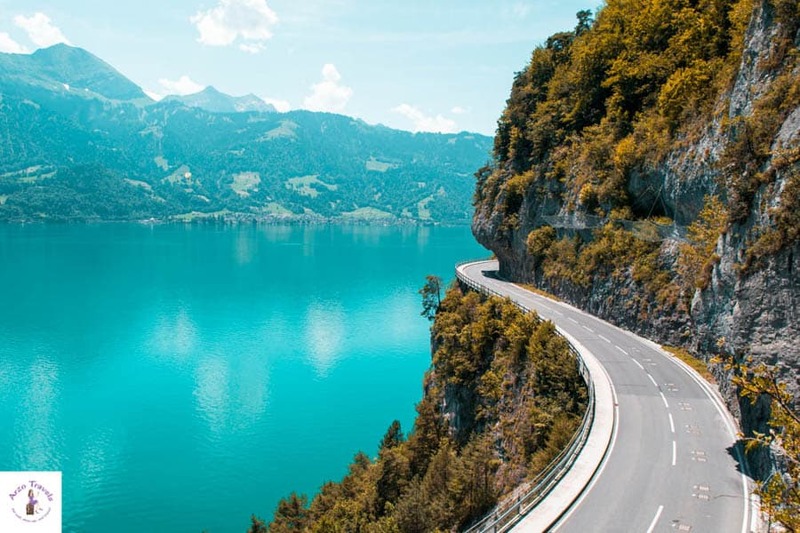 If you have a Swiss Travel Pass, you can do a boat cruise on Lake Lucerne to get there; otherwise, it is easy to get there by car or public transportation. Weggis is a very quiet place with a hidden, or at least a hidden-gem, place to swim. There is also a lido (a beach area that is watched by staff), but the hidden gem is even better. 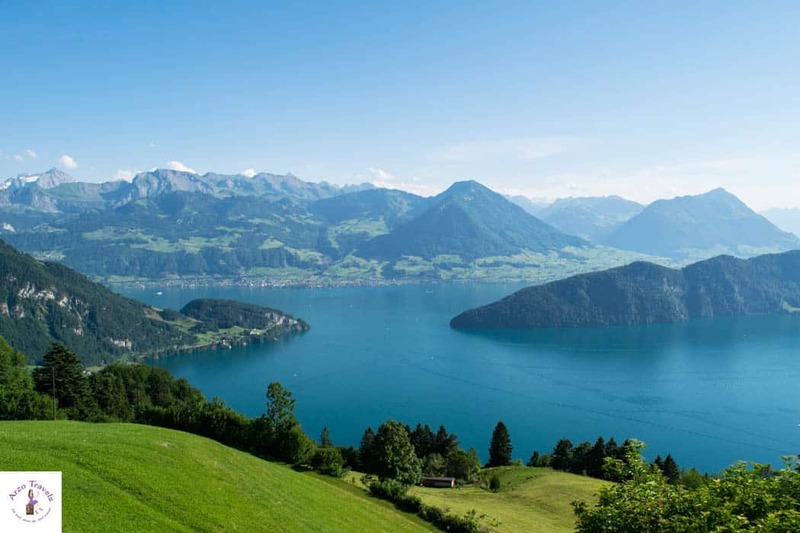 You have plenty of space, which you only have to share with a few other guests; no entry fee; and you have access to a very pristine part of Lake Lucerne, with a view of the Alps. Bring your blanket, some snacks and drinks – and your bathing suit. If you cannot get enough of mountain views, head to Mount Rigi for the sunset. It is not very far from Weggis and the ride up the mountain is a feast for the eyes. Getting up while looking at the Alps, Lake Lucerne, and a lot of lush meadows is a fantastic way to end your day. Start your day early, so you can have one of the best mountain excursions ever – visiting Mount Pilatus. This is a unique experience and not comparable to anything else. Whether you get to Mount Pilatus by boat, car, or public transportation, once you are there, the next few hours will be wonderful. Getting up is great, walking on the mountain top is great, and even getting down is amazing! Since there are a lot of possible activities that you can do up there (including paragliding, hiking, and more), it would be easy to spend a full day on the mountain. As you still have to explore a bit of Lucerne, I recommend getting there early and then leaving after lunch, so you can end your time in Switzerland in the city center of Lucerne. Lucerne is a smaller city with tons of cafes and restaurants. One of the first stops you have to make is at the Chapel Bridge. This wooden bridge is probably the main tourist attraction here, and while the old town is beautiful, the one in Bern is even nice. 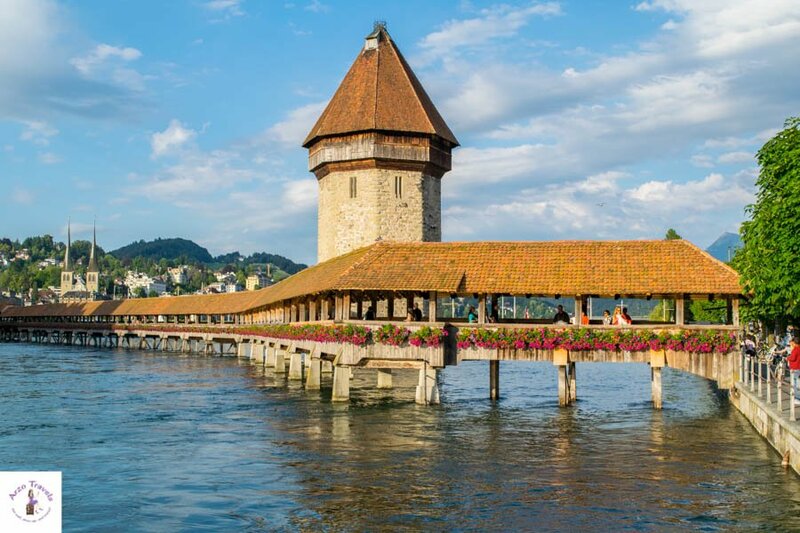 If you are short on time, a few hours in Lucerne itself is probably enough, and sitting in one of the cafes outside will be a fantastic way to top off your day – and your Switzerland trip. Depending on the time of your departure, you can either head back to Zurich and stay there for the last time or spend a little more time in Lucerne before getting back. 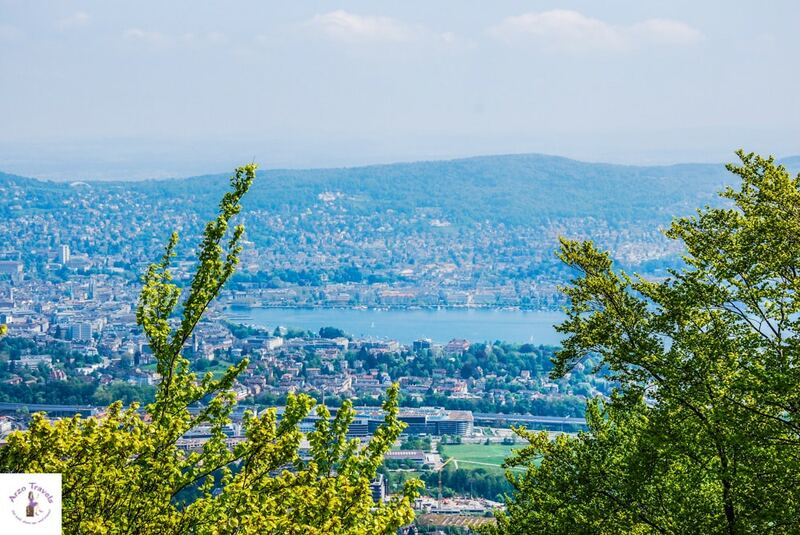 If you decide to head back to Zurich, you can visit the Uetliberg (Zurich´s house mountain) and enjoy some more amazing views from there. You could relax at the lake and take it easy for the last few hours. Or you could rent a bike for free and explore Zurich by bike. I could name many more things to do in Zurich (click here for more top things to do in Zurich), but I will leave it here. In 2018 I visited Valposchiavo – and I cannot believe it is still a hidden gem because it is one of the most beautiful places ON EARTH! Seriously, this region blew my mind. And I actually would add it on a 5-day Switzerland itinerary but I am aware that many people want to see the main attractions first. 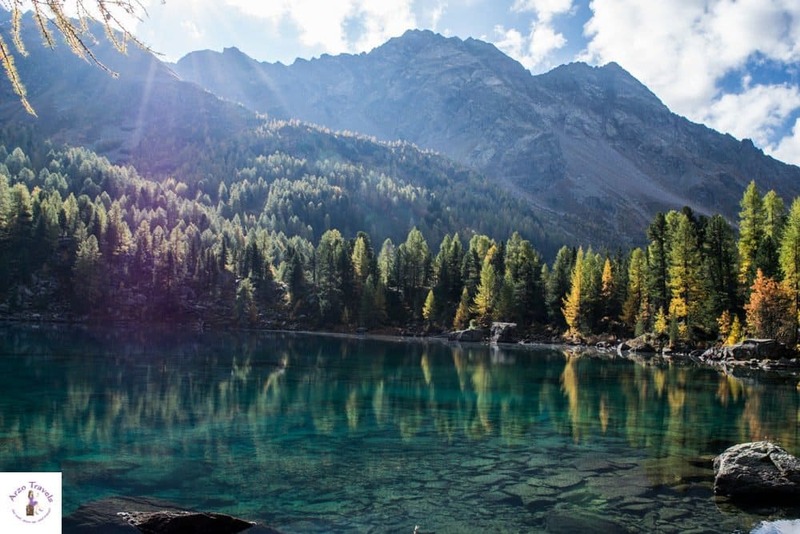 However, if you do a two-week Switzerland trip, enjoy train riding, or want to experience quieter places than Valposchiavo will amaze you. Take the famous and amazing Bernina Express – this is one of the most beautiful and scenic train routes in the world. I am serious. I have never been so serious before (okay, I might have been serious on other occasions before but seriously….) Anyhow, I have a very detailed itinerary for Valposchiavo here (including a video of that place – but to Valposchiavo´s defense – my video doesn’t do it justice). Valposchiavi will take about one day, and I would add one day for the train ride. Check out prices for accommodation in Poschiavo, the capital of Valposchiavo here. 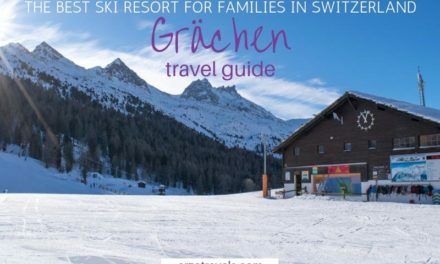 If you stay in Switzerland 12, 13 or even 14 days, I would add a few of the other great places on your itinerary – you can tweak the itinerary as it fit the best for you. 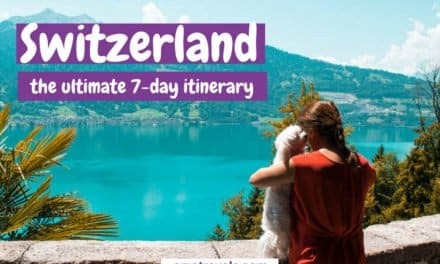 I know, some people might prefer a fixed itinerary but since we are have not the exact taste and preferences (except that we all want to experience Switzerland´s amazing beauty) you can adjust your Switzerland 2-week itinerary with the suggestions mentioned. If you are staying in the country for 14 days, I advice heading to Zurich for the last 36-48 hours. Okay, the last 1, or ideally even 2 days, you will spend in Zurich (and visit on day 10 another place instead). If you are heading to Switzerland, you should make sure to spend more than just a few days. I know, Switzerland is extremely expensive (read my tips “Saving money while traveling in Switzerland” here) and, thus, many people skip it; but as you can see, this small country has so much to offer that 10 days in Switzerland sounds pretty great, doesn’t it?